Cartridge: Fisher PR4 Pressurized Refill. Black Ink. Medium Point. 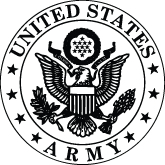 This 725B Matte Black Trekker space pen features a detailed U.S. Army Insignia laser engraved design. 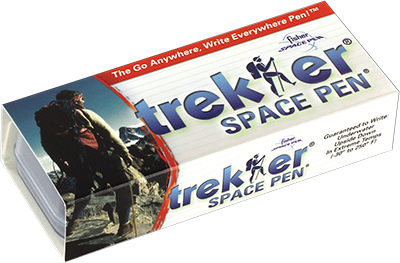 Pioneering in technology, the Trekker Space Pen can hang upside down forever yet function immediately when needed! 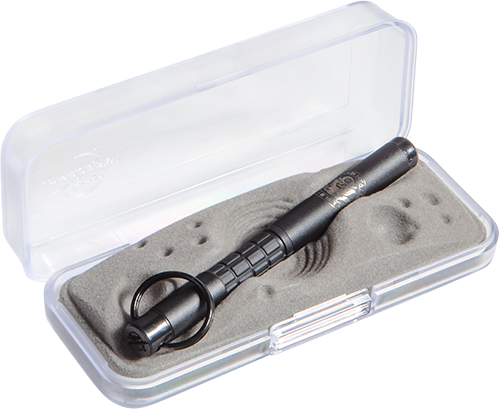 The Trekker has a key chain ring attached to the posi-lock cap to allow for easy accessibility. Trekkers come with a carabiner and a break-away lanyard, making them easily attachable to a belt loop, back pack, purse, climbing gear, briefcase or anything else that is within your reach. This pen is a fantastic choice for all kinds of folks - Are you an executive? Pop it on your keychain and always have a quality writing instrument at hand. Police/Fire/Ambulance – Simply clip it to your belt and it will sail through the daily abuse it will get! Students love this on their school lanyard, and it is the choice of mountain climbers, sojourners, farmers, and security guards. Give this pen as a gift and you'll be remembered always!